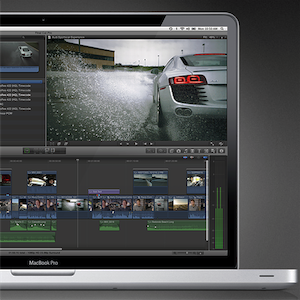 Last week, Apple released a revamped and much cheaper version of its leading video editing program Final Cut Pro. The new version Final Cut Pro X sells for just $300, down from $1,300 – although the previous version included a suite of other movie production applications. Despite the cheaper price and overhaul of the program however, many veteran users are dissatisfied because Final Cut Pro X does meet their expectations, and it looks as though Apple may be refunding many of those disgruntled customers. In the App Store, customer‘s negative comments (with an average app rating of 3.5 stars) criticized Final Cut Pro X for – among other things – its inability to import FCP 7 projects, not being able to view imported clips on an external video monitor, and missing many other professional features that were part of the older version. Apple has responded to many of the criticisms, but some customers have reported getting a refund for their purchase. Sample letters like this one have shown up in the Apple Final Cut Pro X Support Discussion board. Typically, Apple’s refund policy maintains that all sales coming through the Mac and iTunes App Stores are final, but clearly in this case they are making an exception. Though Apple will over time work out the kinks and problems with Final Cut Pro X, these problems may signal that Apple needs to reconsider allowing App Store customers to download trial versions of apps in App Store before they are fully purchased. What do you think?